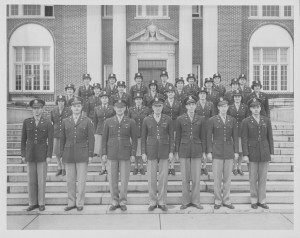 In December 1967, UCA President Silas D. Snow announced that an Army Reserve Officer Training Corps (ROTC) program would begin in the fall of 1968. 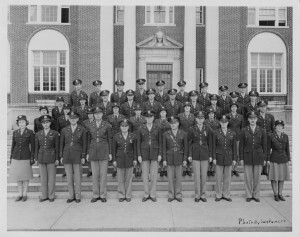 According to an article in The Echo, the Army had not added any new ROTC units since 1953. The one at State College of Arkansas (now UCA) would be one of the first in the nation to be set up in 15 years. It would be open to students from Central Baptist College and Hendrix College. 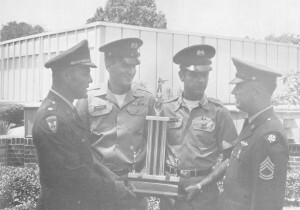 UCA ROTC program was one of only 15 programs created by the Army at a college or university in 1968. It was the result of the efforts of Army Secretary Stanley R. Resor and U.S. Representative Wilbur D. Mills of Arkansas. The ROTC program was administered by the Fourth Army Headquarters from Fort Sam Houston, San Antonio, Texas. The unit was housed in Meadors Hall, formerly a men’s dormitory built in 1937 and named after Dean Andrew Jackson (A.J.) Meadors. The first commanding officer of the newly formed ROTC unit was Lieutenant Colonel George Edward Pickett IV, great grandson of Confederate General George E. Pickett. 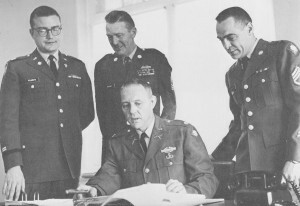 Lieutenant Colonel Pickett graduated from the United States Military Academy at West Point, New York, in 1944 and was a veteran of World War II, the Korean War, and the Vietnam War. 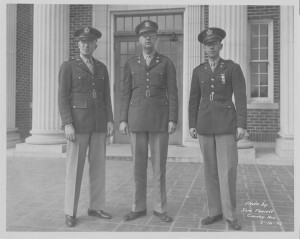 For his wartime service, he was awarded the Silver Star, two Bronze Stars, and Purple Heart. Currently there are seven partner schools that fall under UCA: Hendrix College, Central Baptist College, Arkansas Tech University, University of Arkansas at Little Rock, Philander Smith, UAMS and University of the Ozarks. 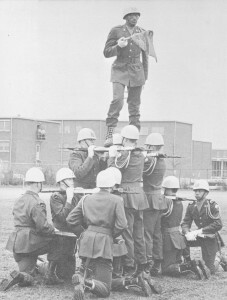 All the schools are supervised by UCA’s Professor of Military Science, and together they form the Bayonet Battalion.